How many months pregnant are you at 35 weeks? 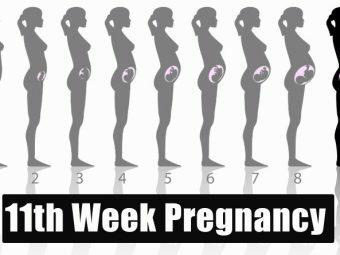 How big is your baby in the 35th week of Pregnancy? 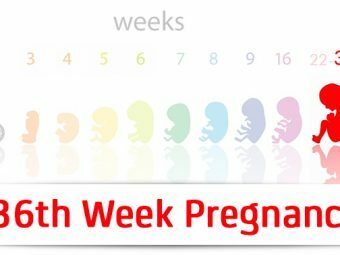 What symptoms of pregnancy do you experience in the 35th week? 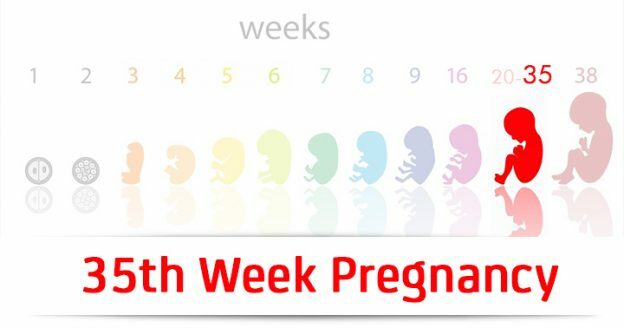 At 35 weeks, you are in the eighth month and third trimester of pregnancy. In two weeks, your pregnancy will be considered full-term. Your baby is about the size of a honeydew melon (1). The baby measures 18.19in (46.2cm) in length and weighs 5.25lb (2.383kg) (2). By this time, the baby’s development is almost complete. The baby also develops a specific sleep pattern by this week and is bigger than before, leaving little space for movement inside the uterus. Fetal position and movement: The baby attains the head-down position (vertex position) this week, and is curled up in the uterus with legs bent up towards the chest. Though there is very less room for the baby to move inside the womb, it changes the position in slow movements that you can feel. Even if the baby is in a breech position, there is still time for the baby to move to an optimal position. If you notice any significant decrease in the fetal movements (less than ten movements in two hours), then visit your doctor right away. Read more about the symptoms you will experience this week. 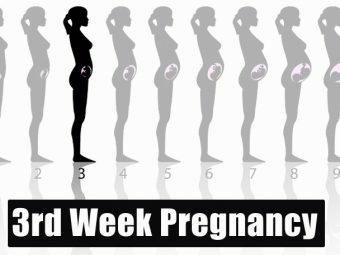 What Symptoms Do You Have In The 35th week Of Pregnancy? Carrying a growing baby is not easy and will leave you tired and fatigued. The growing belly puts pressure on the diaphragm, resulting in shortness of breath. The enlarged uterus puts pressure on the bladder, increasing the frequency of urination. The enlarged belly, pains, and aches in the body cause trouble sleeping. The enlarged uterus pushes the gastric acids upward into the esophagus, causing heartburn. The water retention in the body causes edema, which is swelling of the hand, foot, and face. The pressure put by the uterus on the rectal veins causes hemorrhoids, which is the swelling of the blood vessels in that area. The extra weight of the baby puts more pressure on the lower back, causing a backache. Progesterone hormone slows down the digestion process, leading to constipation. Braxton Hicks contractions are the irregular and less painful contractions that help the body prepare for labor. Your water may break, and a gush of vaginal fluid may occur indicating that delivery is imminent. The hormonal fluctuations can lead to occasional headaches. The extra blood flow to the lower part of the body can cause swelling of the blood vessels in the leg area, resulting in varicose veins. The hormonal fluctuations can result in loosening and bleeding of the gums. The growing uterus causes a shift in the center of the gravity in your body, making you clumsy at times. The hormonal changes increase your tendency of forgetfulness, which is quite common during this week. As the baby grows, you will also experience physical and emotional changes at this time. 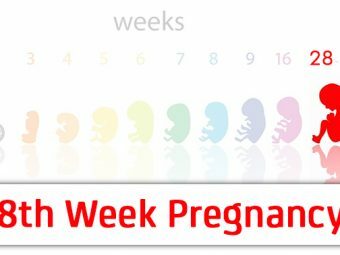 The 35th week is close to the home stretch period and could result in preterm delivery in some cases. Next, we tell you how to identify that. If you experience any of these symptoms, call for medical help. In the meantime, here is what you can do. Here are some tips to evaluate the symptoms and find out whether or not you are really in labor. Contractions: As soon as you start feeling the contractions, walk around or lie down on your left side and see if they get stronger and frequent. Make a note of the number of contractions you experience as it can help the doctor gauge how the labor is progressing. You may be given certain medication to stop the contractions if there are no pregnancy complications. Water break: If you experience a continuous, watery discharge, then use a sanitary napkin or pad to prevent any infection and head to the hospital immediately. Once the water breaks, you will be predisposed to catch infections that can affect both you and your baby. Your doctor can put you on intravenous antibiotics to prevent any serious infections. Bleeding: If you notice vaginal bleeding, use a sanitary pad to contain it. Go to the hospital as soon as you can, so that the doctor can check for any placental rupture. Pelvic or back pain: Get a gentle massage done by your partner. You can also use a warm compress for relief. If the pain persists, then contact your doctor. They will check if you are in labor. If you notice any other unusual symptoms, then reach out to your doctor at the earliest. You notice any significant change in your baby’s movement. Have a sudden weight gain, swelling of hands and face, blurred vision, persistent headache, breathlessness, lightheadedness and abdominal pain. The color of the urine is dark yellow or orange, with or without odor and is accompanied by an abdominal or lower back pain. 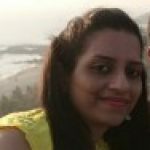 A burning sensation or vaginal itching might indicate UTI. Extreme thirst and dry mouth, accompanied by blurred vision, fatigue, dizziness. Unilateral swelling with or without pain, along with tenderness in the leg. Usually, babies born between 34 and 37 weeks are considered as late preterm infants or near-term infants and have an improved survival rate compared to those born earlier. But they will have a considerable risk of morbidity, which includes trouble with the maintenance of body temperature, breastfeeding difficulties, risks of catching infections and jaundice, which might require re-admission to the hospital (9). If the symptoms are normal and there is no indication of preterm labor or other complications, schedule the usual weekly OB/GYN visit. Ultrasound, to check the position and health of the baby. Group B strep test; the screening test of the vaginal swab checks for group B Streptococcus (GBS) infection. If GBS is detected, then antibiotics will be given during to reduce any risk of infection to the baby (10). If the pregnancy is progressing smoothly, continue to take care of yourself until the baby is ready to come out. Always get up slowly from the lying position to avoid any jerky movements. Taking a warm bath eases the discomfort caused by leg cramps, hemorrhoids, and back pain. Avoid carbonated drinks, spicy and citrus foods in the case of heartburn. Eat healthy and home-cooked meals. Walking will help you feel energetic and have a good night’s sleep. Stay hydrated but drink less water at least one hour before going to bed. This reduces the urge to urinate during the night and ensures an undisturbed sleep. Get a massage from a professional masseuse to ease the back pain and body aches. Avoid taking any medication without the doctor’s advice. Inquire about cord blood banking and register for it, if interested. Find out about your healthcare center’s childbirth and pain relief options. Arrange for childcare if you already have a kid. This could be of great help while you go into labor. Spend more time with your family and friends. Do not hesitate to share any concerns with them. Enroll in childbirth classes to learn about labor and the techniques of birthing. Get your partner involved in the planning. Search for a pediatrician in your area. Help with the daily household chores. Accompany to all the prenatal visits. Ensure that the hospital bag is ready with all the necessary items. Go on walks and attend pregnancy classes. Plan a day out for a change. Be available on call in the case of emergency. You are just a few weeks away from the due date. The waiting game is about to get over, and soon you will be holding your bundle of joy in your arms. While the anticipation of holding the baby keeps you excited, coping with the discomforts of the progressing pregnancy can be difficult. The best you can do is wait for the baby and take the best care of yourself, and let your partner worry about everything else.